Julia Ott is a Licensed Professional Counselor in the state of New Jersey. She received her Bachelor’s Degree in Psychology with a minor in Gender Studies from The College of NJ and her Master’s in Psychological Counseling from Monmouth University. Julia spent her early career working in individual, family and group counseling focused on a wide variety of mental health concerns including substance abuse, anxiety, depression, grief and trauma. Mindful Soul happily welcomed Julia to our team in July 2018 as part of our expansion in maternal mental health services with the opening of our Collingswood office, located within The Village-South Jersey Breastfeeding & Wellness. 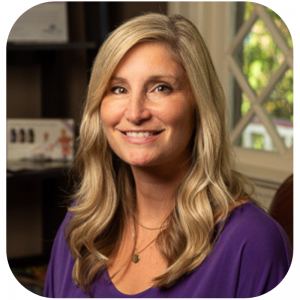 There, Julia brings her expertise and guidance to her work with pregnant and postpartum women, women braving infertility, and mamas managing the ups and downs of life with young children. Julia’s comprehensive experience in working with the unique needs of women includes coordinating a program for single mothers, facilitating a number of women-focused groups on issues including building self esteem, reframing cognitive distortions and creating a new life script, resolving feelings of grief, and treating women that are healing from trauma or managing issues of addiction. With a clear perspective on how mothers often lose themselves and tend to suffer in silence under the guise of being the “perfect” mom, Julia is passionate about supporting the mental health of mothers and eliminating the stigma and silence of their struggles. She strongly believes in the importance of being heard, validated, and empowered in your healing and necessary path towards personal wellness. Julia moved to South Jersey from the Jersey Shore 3 years ago. She loves going to the beach, music and spending time with her husband and her little tornado!